Impulse buys rarely work in my favor. 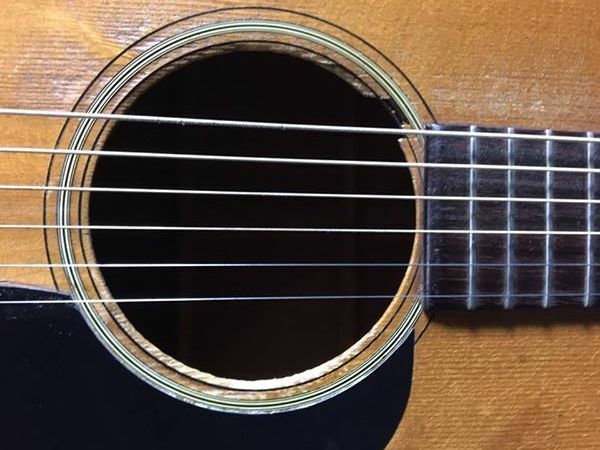 A recent purchase of a 1970 Martin D-18 from a classified ad proved to be no exception. I know, the ‘70s were not a stellar period in the history of Martin guitars. They were hit and miss. 1970 being my birthyear made this guitar speak to me. It was advertised as needing work and priced accordingly. I build and repair guitars and mandolins, so this would be a good personal project. 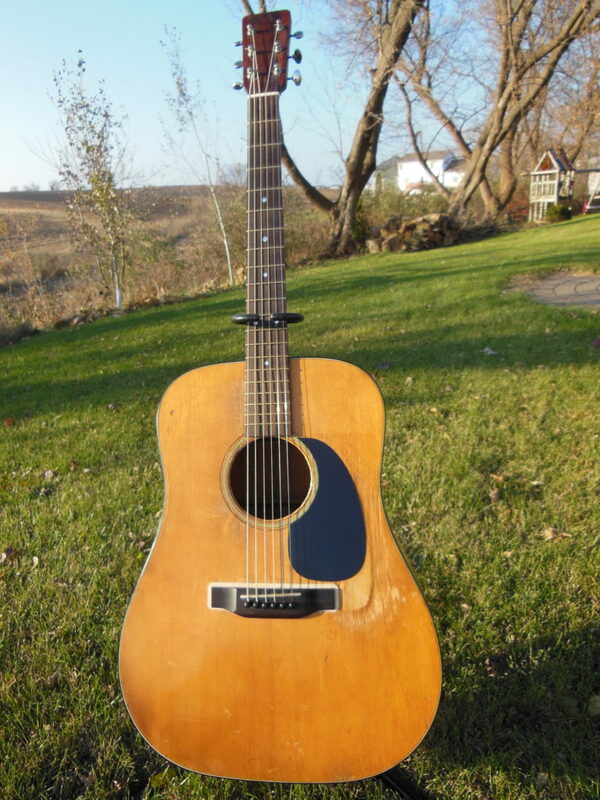 I could hopefully bring it back to life and have a keepsake with that “mysterious” vintage sound. The seller supplied video of the guitar being played along with many pictures showing what looked like a typical bellied bridge, something those late ‘60s and ’70s Martins are notorious for. 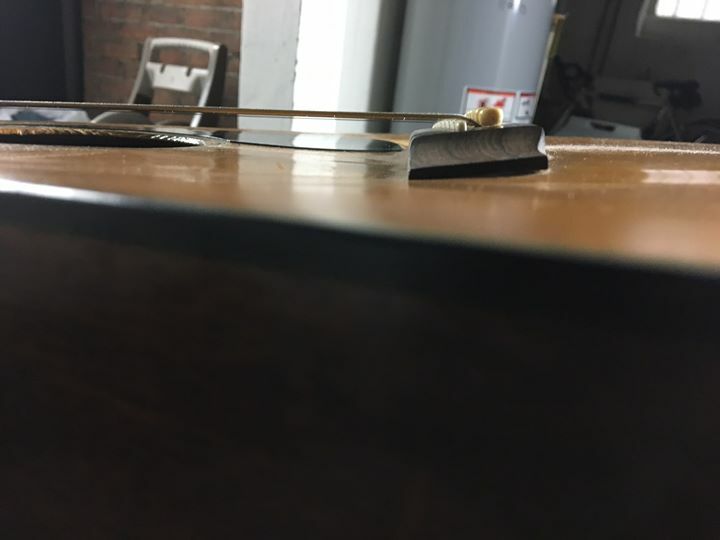 I thought a bridge plate replacement would be the worst case scenario. I bought the guitar. Upon arrival, the top deformation looked worse than the photos. 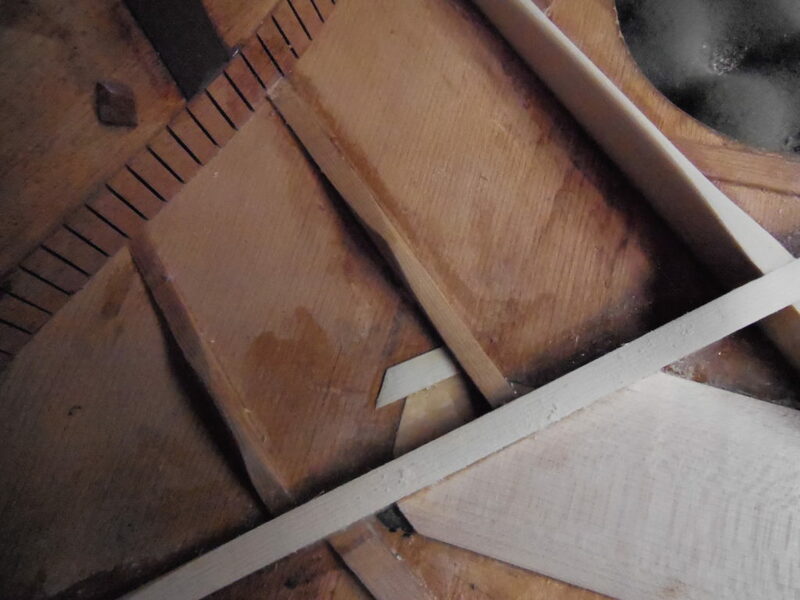 The action bottomed out at the 10th fret and was unplayable any further up the neck. I knew the bridge had been replaced. It was oversized to help compensate for the bellied top. I was informed the guitar was worked on years prior to fix the bulging top. 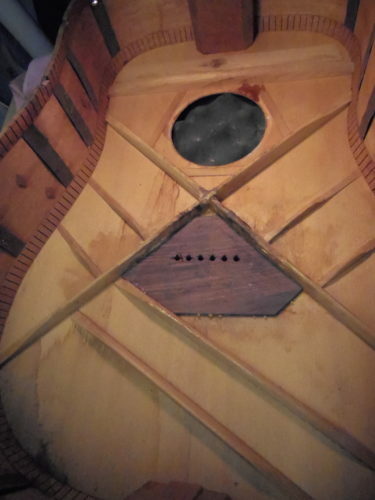 The work made the guitar playable, but the geometry of the top was not right. I peeked inside with an inspection mirror. What I feared was true. Both X-braces had split near the bridge location. 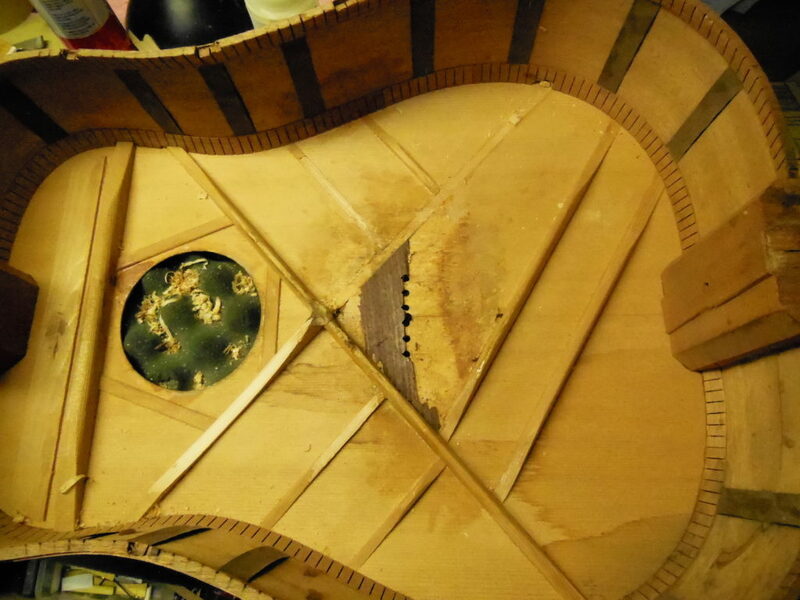 To make matters worse, a repair was attempted using Gorilla glue. Further inspection showed the bridge plate had been replaced. The replacement plate was much larger and twice as thick as a stock plate. A definite tone killer. I set the guitar aside for a few weeks as buyer’s remorse kicked in. The typical remedy for failed X-braces would be to replace the top. 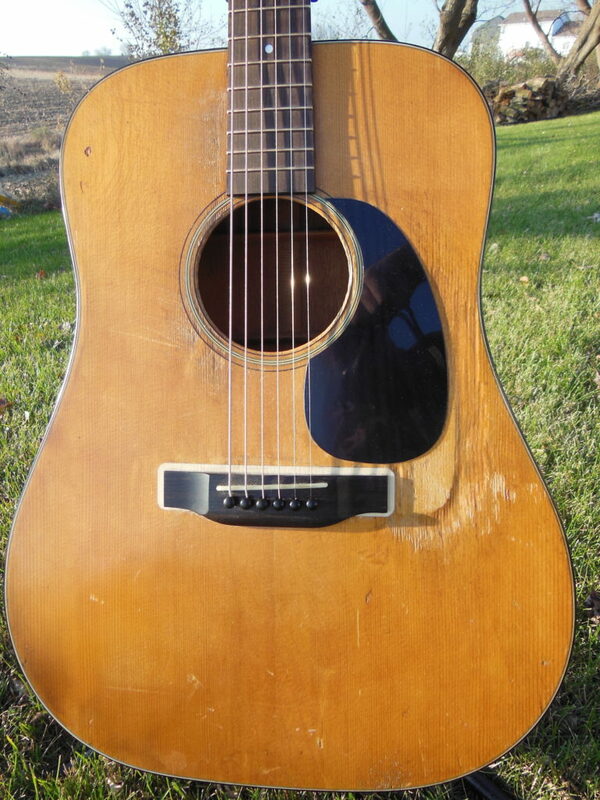 I bought the guitar for the 47-year old spruce top, the engine of an acoustic guitar. 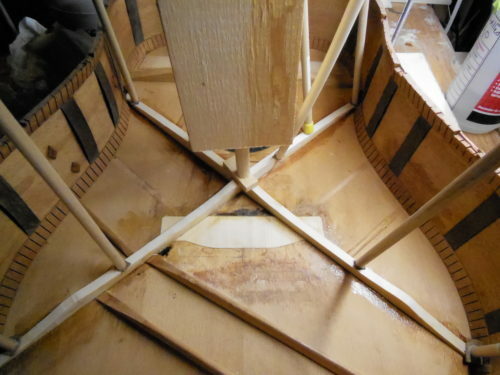 There’s a sound I can’t explain when wood gets to a certain age. 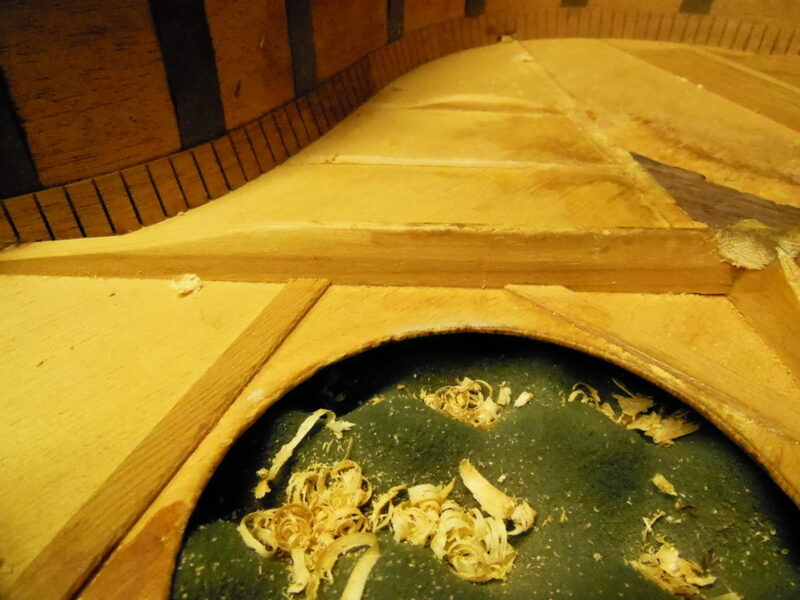 I’m not sure when it occurs, but this spruce top had it at 47 years. Even though the braces were shot, I could hear the tone potential waiting to come to life again. The first step was to remove the oversized bridge. 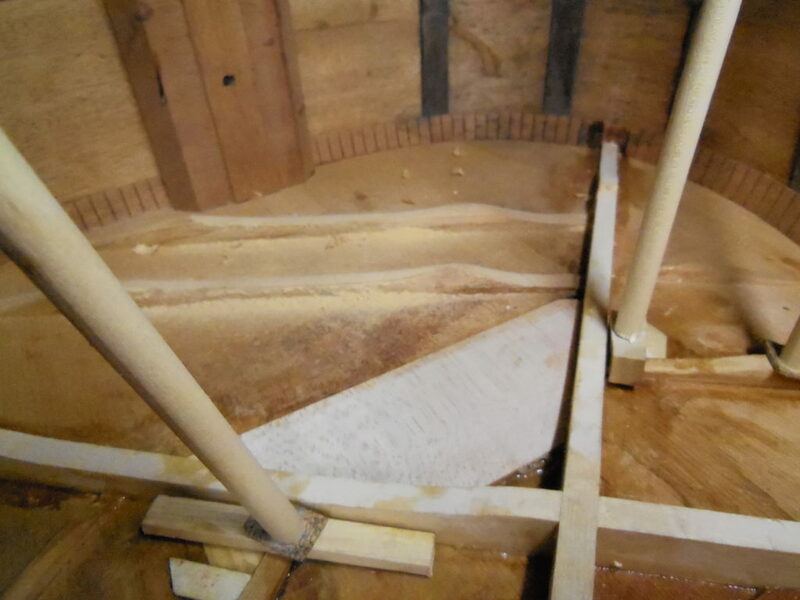 Once off, I discovered that much of the original spruce was missing from one or more previous repairs: there was a hole under the bridge. Yet another challenge. Too stubborn to let this top go, I decided to make a spruce patch to try and save this top. I took the back off to replace the X-braces. While inside, I replaced the bridge plate with maple of proper thickness. This guitar has battle wounds. 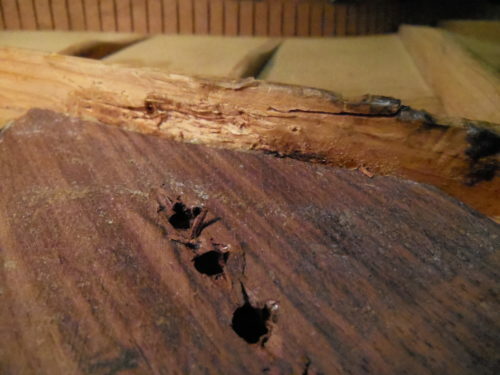 It had been played a lot as indicated by the worn finish on the neck, top, and back. The back and sides had numerous splits and cracks, some repaired, some not. 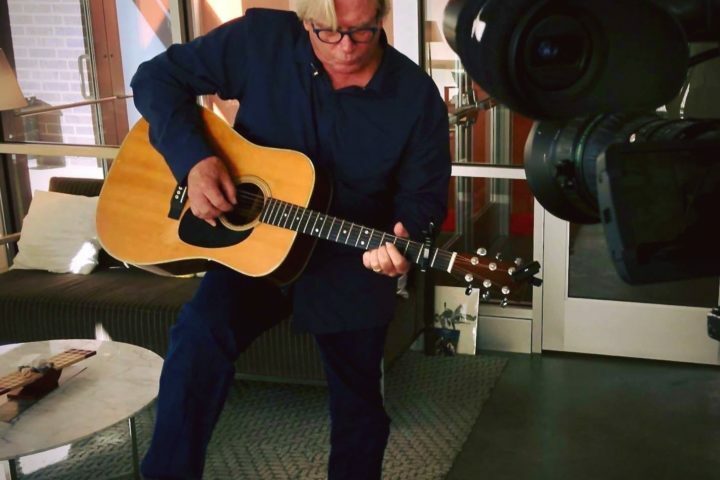 In my mind, the guitar was a loss unless I could keep the original top. 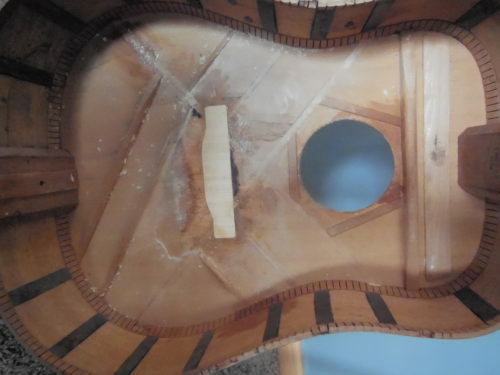 Removing the back of a guitar is no easy task. I managed to separate the back with an artist palate knife. 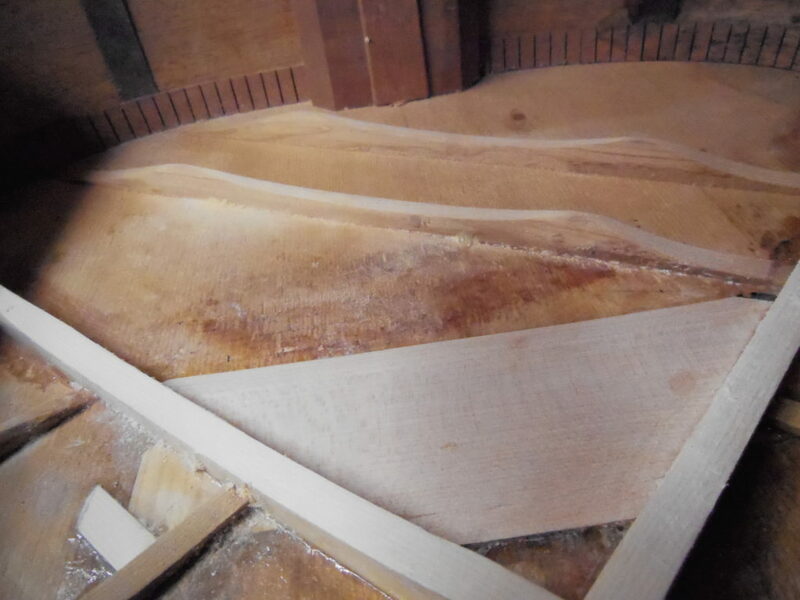 A few of the cracks got larger from removing the back, but they glued up nicely. 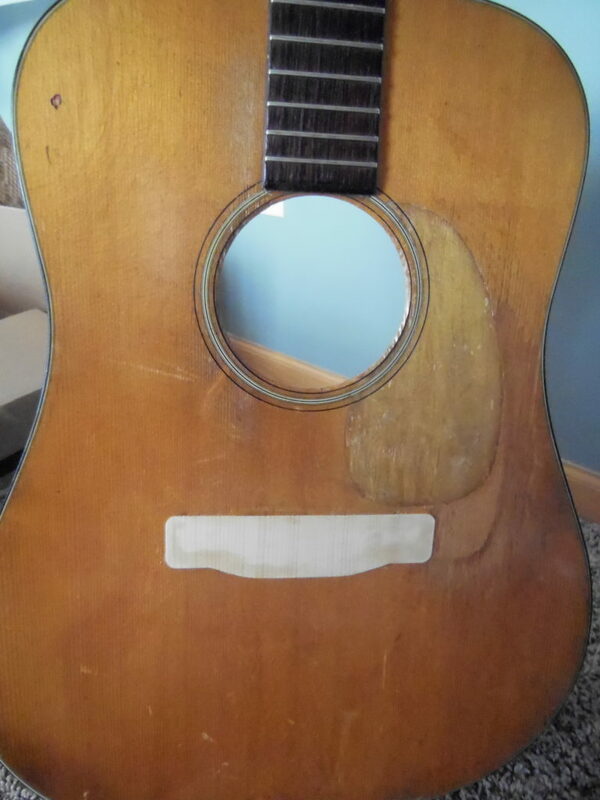 Cosmetics was never a concern for this guitar. 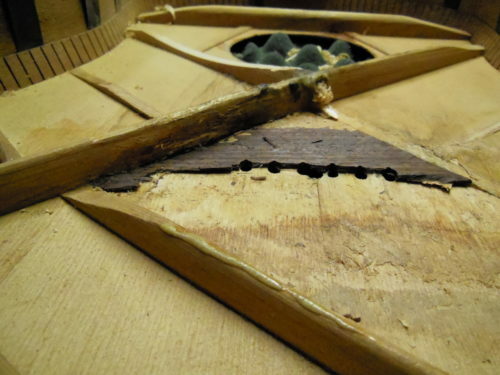 I would not do this on a vintage guitar of any value. I proceeded to chisel the X-braces off the soundboard. I also scalloped the original tone bars. 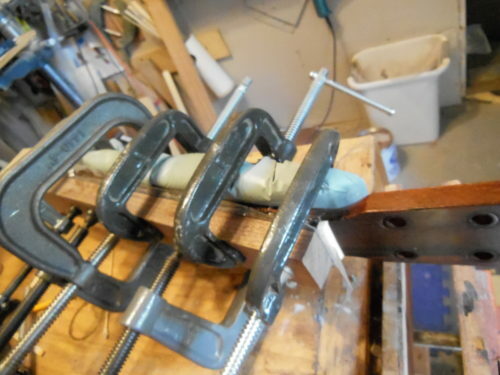 I made new X braces out of Adirondack spruce and glued them in with hot hide glue. The bridge plate was glued in at this time along with two new finger braces. I shaped and scalloped the X-braces. Tapping the top, I could tell this would all be worth it. It had a thunderous attack and lengthy sustain. Next was to glue the back on again. 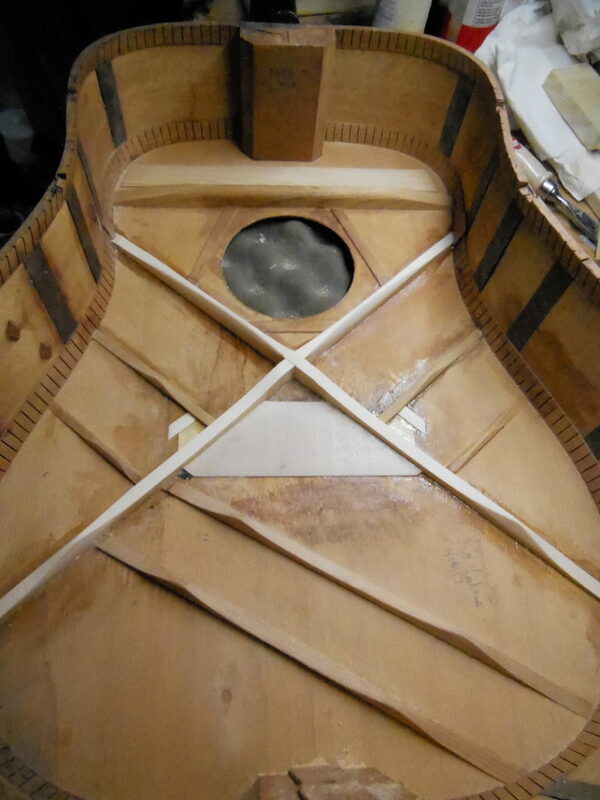 I had a suspicion the neck would need a reset, but no way of measuring until the top geometry was back in place. 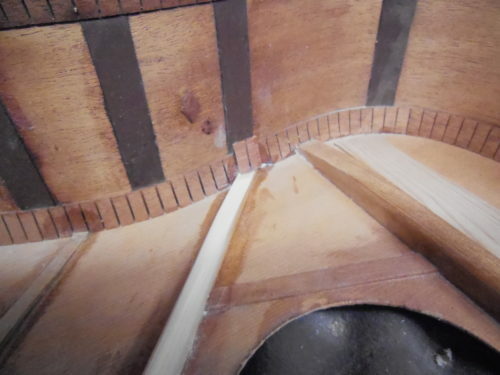 I strung it up and confirmed that I needed to bring the neck angle back as the action was almost a 1/4” at the 12th fret. The tone was there. 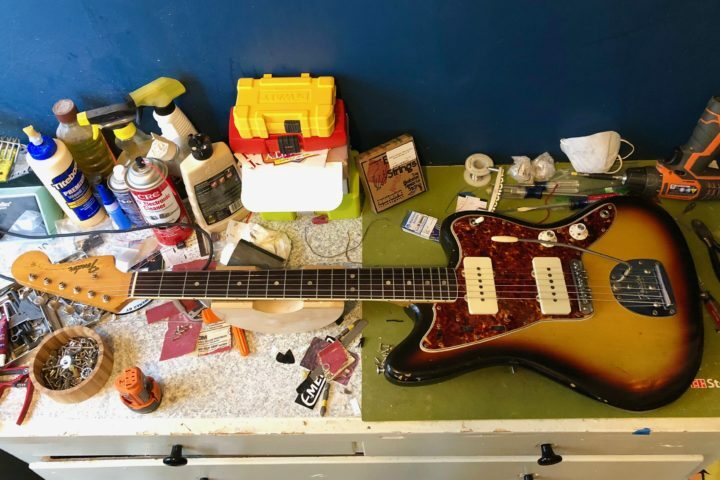 I played the guitar with painfully high action for a week before moving on to the neck reset. The sound was too good to put it down. I decided to stiffen the hollow square tube truss rod while the neck was off by epoxying a carbon fiber rod into the hollow. 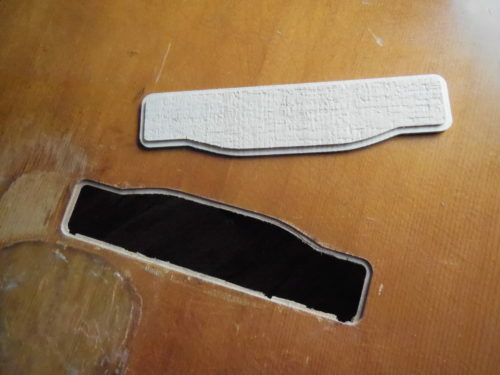 The frets needed to be replaced as well. Unfortunately, the Brazilian rosewood fingerboard had been planed down too thin over time and fingernail divots were poorly filled with epoxy and sawdust. 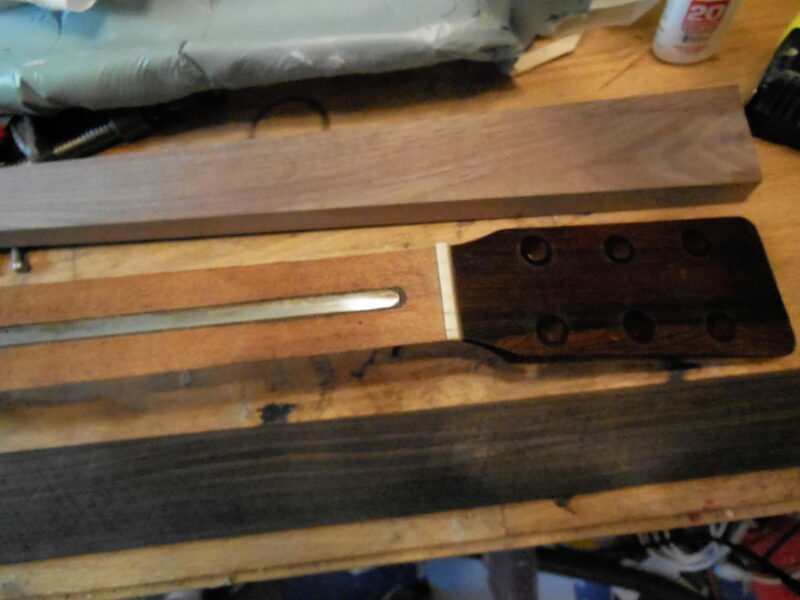 I decided to make a new fingerboard out of Macassar ebony. Evo gold frets were installed on the new fingerboard along with the fresh neck reset. The guitar has that vintage tone to it. 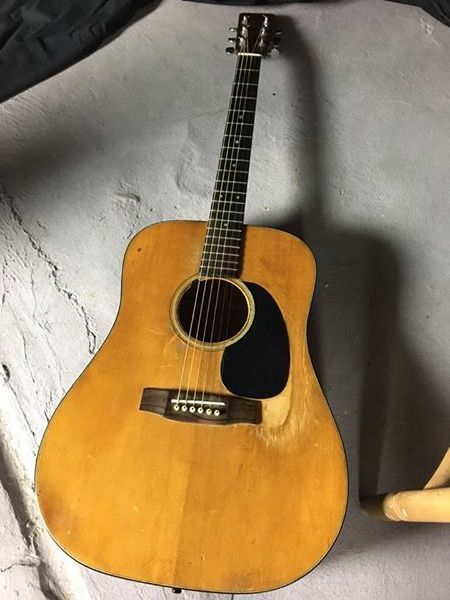 It reminds me very much of some ‘40s and ‘50s Martins I’ve played. No, it’s not a prewar D-18. The X-braces are standard location, but this one satisfies my vintage craving (for now) at a fraction of what a late ‘40s or ‘50s Martin would cost. It’s a good thing I can do the work myself, or it would have not made sense to restore this one. It’s my main player now. Something I can take to a gig and not worry about getting a scratch or dent in it. It’s not much to look at it, but it has a great story. I’ve named it “Scar” for obvious reasons. If treated well, it should last another 47 years. Wonder what it will look like then?